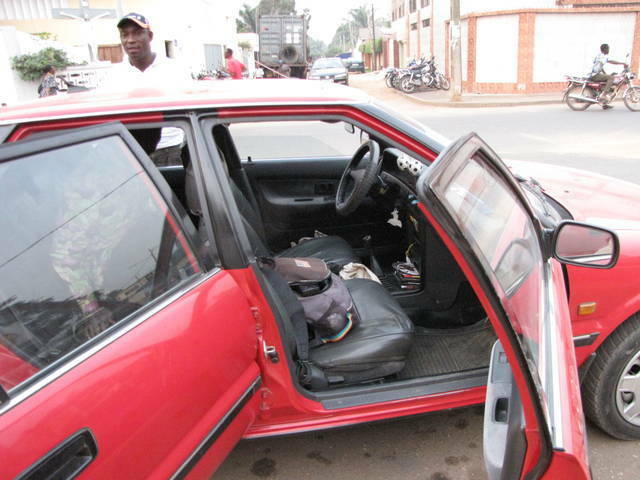 There is two seats, however the group taxi driver will sell three, this makes riding very uncomfortable I purchase both seats, which is very common in Africa to do, and my trip is better, I am able to take photos from the window and life is simpler. Charters: Finding a charter can be a problem, instead just purchase all the seats. Note this becomes more dangerous, it is safer in a shared taxi.